WASHINGTON — A newly released police report shows that a D.C. firefighter behind the wheel of a fire truck that crashed into a car last March, killing its intoxicated driver, was traveling nearly 25 miles an hour over the speed limit. 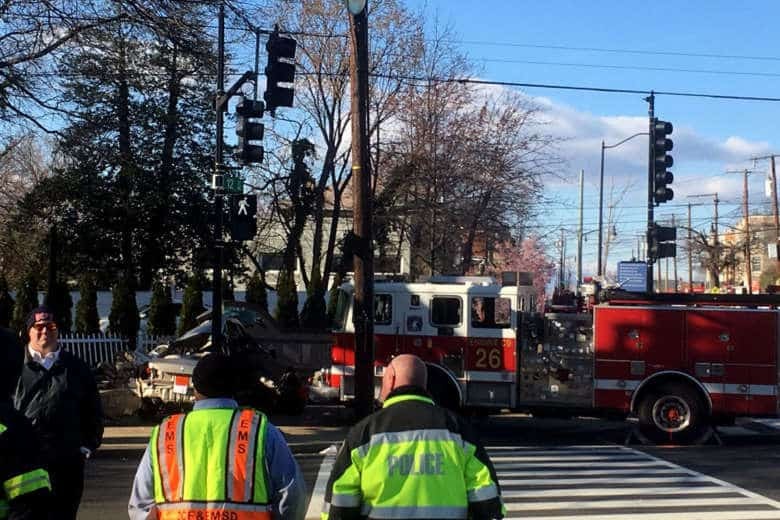 Four firefighters were responding to an emergency call around noon on March 9, 2018, when they collided with two other vehicles and a pedestrian near the intersection of Rhode Island Avenue and 12th Street NE. The driver of a Honda Accord, identified as Deangelo Green, died following the collision. The report, compiled by the D.C. Police Major Crash Investigations Unit, concludes that the primary cause of the collision was Green’s failure to yield the right of way to the emergency vehicle. The police report also found 32-year-old Green to be operating his vehicle while intoxicated. Witnesses reported that all other drivers remained stopped as the fire engine, a 2006 Seagrave, approached the busy Brookland intersection. The fire engine’s lights and sirens were activated before the crash. In a statement issued late Friday, D.C. Fire said the department has reinforced its established rules for using red lights and sirens under emergency conditions and trained all members on the protocols. Additionally, the department said the driving authority for the firefighter who was operating Engine 26 at the time of the collision was revoked. “The safety and welfare of our residents and members responding on emergency vehicles is critical to our mission, and it is very difficult to provide care when we cannot arrive safely to provide services. We are committed to ensuring that our emergency response vehicles are operated in a safe manner at all times,” the statement read. The collision pushed the Honda Accord into a stopped Ford Focus which then mounted the curb and struck a pregnant pedestrian. The woman was taken to a nearby hospital with serious injuries. The driver of the Focus was not injured. One of the firefighters sustained minor injuries.